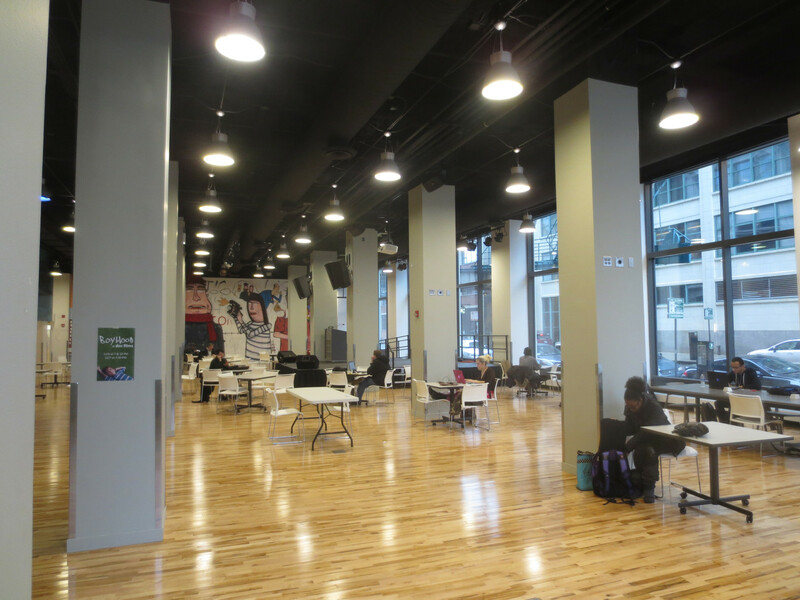 At the Conaway Center, Columbia College updated a critical part of of their urban campus with a new envelope, new mechanical systems, and interior improvements to a landmark building. Located in the historic Ludington building, the Conaway Center is a unique performance, exhibition, and gathering space for students in a downtown campus setting. The project improved the infrastructure for the educational, social, and artistic mission of the school. With mobile technology, students can work nearly anywhere, and the challenge of urban campuses is to provide compelling, social spaces that are flexible (for students to adapt as needed for different activities or projects) and that make shared resources (stage, AV systems, projectors and screens) available and accessible. 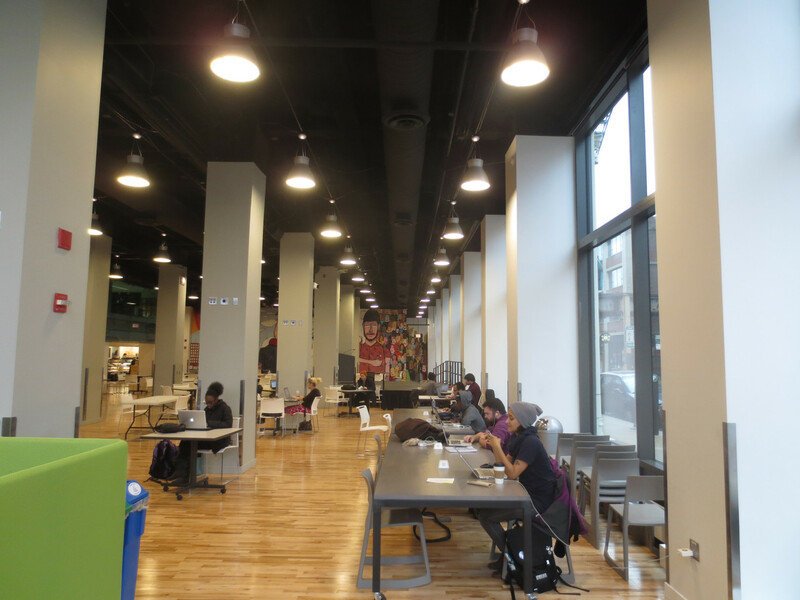 The Conaway Center is Columbia’s largest open gathering space for students and was designed to be a student-centered space — open beyond normal work hours, with a flexible furniture layout, fostering study and collaboration at different scales. 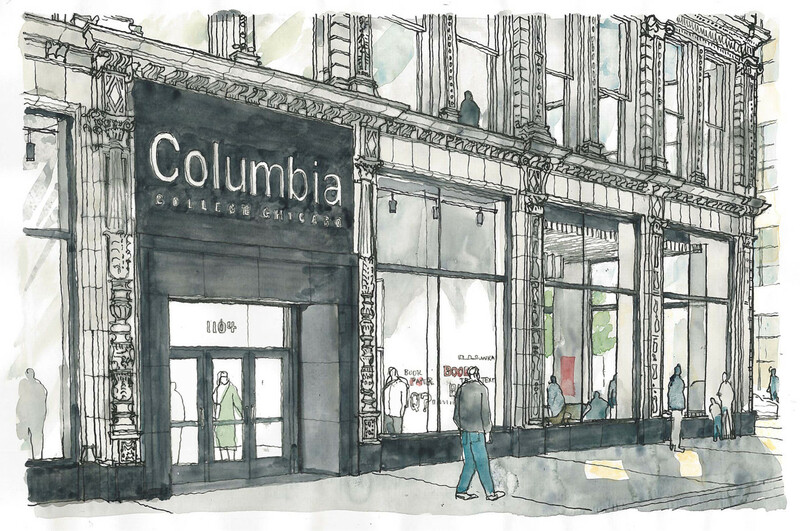 The connection of student spaces to the city is an important part of Columbia’s identity. 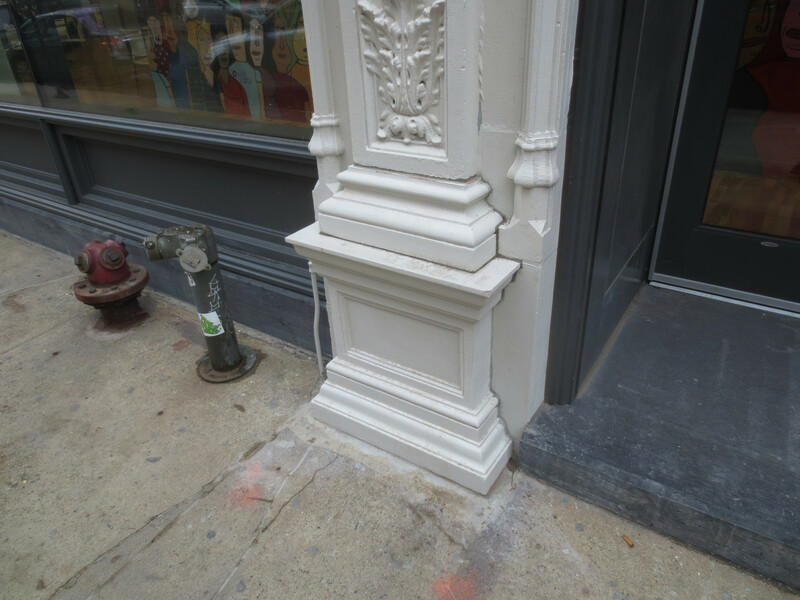 The project enhanced this street level identity by updating the existing glazing to high performance glazing systems as well as replacing damaged existing terra cotta with glass reinforced concrete pieces made from molds and digital scans of the existing historic pieces. Additional work within the building updated the outdated mechanical system with new radiators and high efficiency boilers in the basement. Higher-ed institutions in the city feel pressure to evolve from their students, faculty, and staff, as well as from the urban fabric around them. 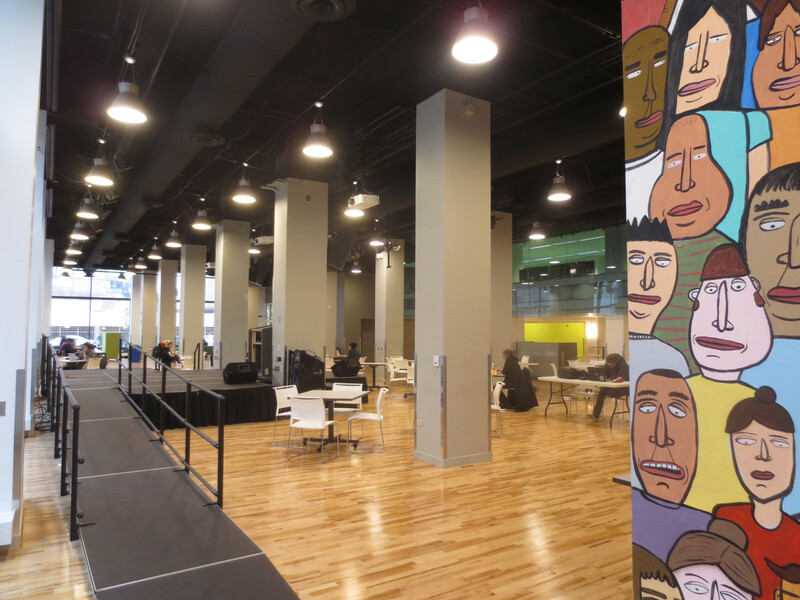 The Conaway Center was an exciting opportunity to help Columbia manage their evolution and growth while preserving the unique historical significance of the landmarked building.